Our students have a wealth of knowledge that spans many industry sectors. Employers seek out our students and their skills, and can do so with many on-campus initiatives and opportunities. We hold a STEM Fair every October for Faculty of Environment students alongside the Faculties of Engineering, Maths and Biological Sciences. 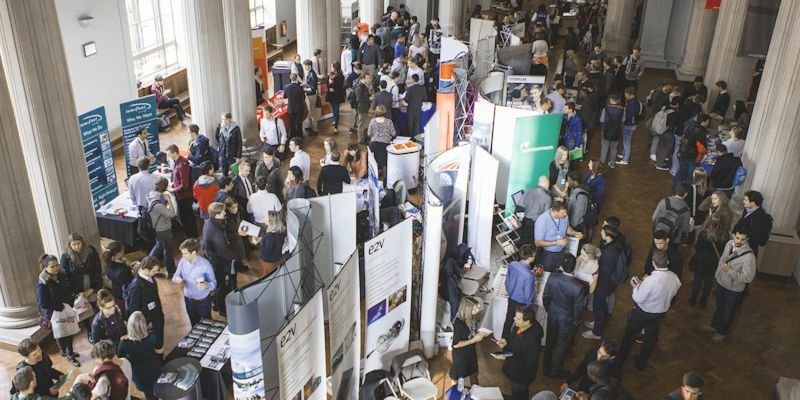 The fair is attended by approximately 1,000 students across the disciplines and we vary costs of stands depending on whether you are an SME, charity or larger organisation. and a brief overview of role / event. This is an opportunity to promote your business, and to make contact with students who would consider you for future employment or work experience. We can fit ad hoc talks around your busy schedule and are happy to reimburse travel expenses where appropriate if you are presenting as part of a taught module.